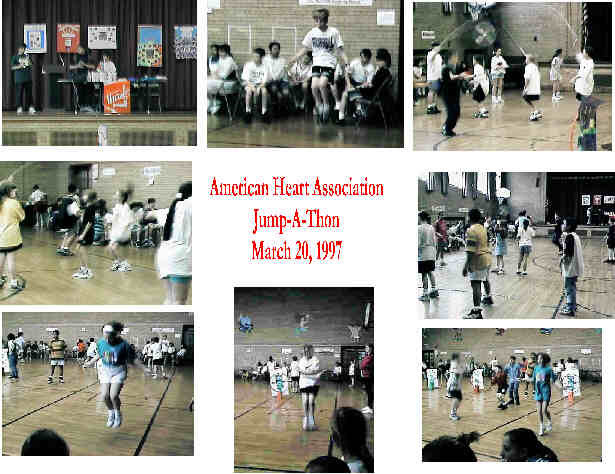 This year's Jump-A-Thon was held on March 20, 1997. 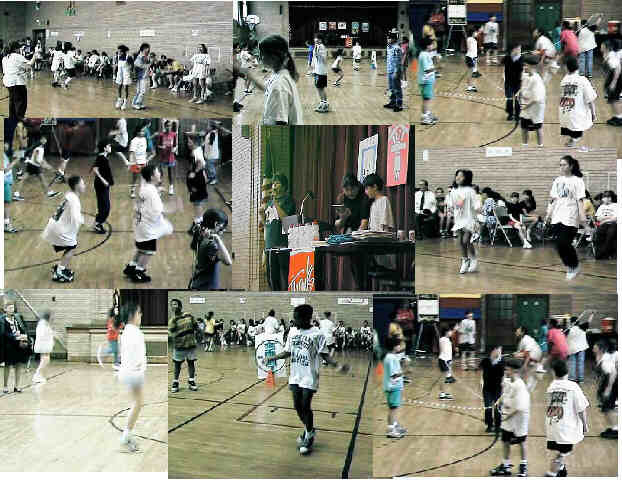 From 1:30-3:00 the 5th and 6th graders jumped rope nonstop to raise money for the American Heart Association. There were 6 teams from each grade, 8 people on each team. Our D.J. was Samantha, while we jumped she played songs for us. When we got thirsty, the PTA gave us ice water and orange slices. During the jumping, Mrs Panzella (coordinator of the event), gave out prizes. Some lucky people got water bottles, toys or T-shirts. When it was all done we were all very tired, but we had a good time and raised $ for a good cause.